Guest Post: Because I’m a mother. I often write about nursing- nursing in public, nurse-ins, nursing education and support… This post is about the other kind of nursing- nursing as a profession- and the unique set of challenges faced by mothers in this profession. This profession is arguably the backbone of our healthcare system; from hospitals to clinics to aged care and more. While we certainly have male nurses it is still a female dominated field and where there are women there are invariably going to be babies and children. Is it possible to be a mother and a nurse? Yes…but not without often significant disadvantages. Take my guest blogger, pictured above with her family, who wrote the piece below. April Abbott is a Registered Nurse with extensive experience in her field who has effectively been forced out of the hospital system in order to meet the needs of her family. Recently the National Centre for Social and Economic Modelling compiled research showing that some mothers are earning as little as $3 – $4 an hour once childcare fees are taken out. In April’s case, a typical week’s take-home pay is completely obliterated by childcare fees, she must keep working a certain amount of hours to maintain her professional registration- yet she cannot work in her chosen specialty area. Here’s what she has to say. Let’s face it; the future of healthcare in Australia looks bleak. As a society we’re getting older and sicker, and we keep expecting more of a system that just can’t keep up with the demand. When you add an ageing nursing population and the very real prospect of a healthcare workforce shortage the picture looks pretty grim. So why is it that, in the midst of a national debate about health care funding, a Registered Nurse (RN) with over 7 years experience in Intensive Care and an extra 3 in other areas of nursing can’t get a permanent job in a hospital? The answer – because I’m a mother. I’ve always known that being a nurse is about sacrifice. And like all mothers, I understand that working takes away from time with my family, and that’s fine. It’s not just about the money, I love my job. I love knowing that I make a difference, that I can spot when a patient is about to deteriorate and take action to stop it. But I can’t be available 24 hours a day anymore and that means I can’t work a rotating 24/7 roster which that means I can’t get a job. I need to put it out there; these issues aren’t exclusive to nurses. No matter what the job, every mother faces challenges trying to find a work-life balance but shift workers are particularly at risk of facing this difficulty. There are, however, a few differences for nurses. Firstly, we are notoriously selfless and rarely complain in any significant way about our working conditions. Secondly, we are more likely to suffer from health problems than people of other professionals at the same age, probably because we are so willing to sacrifice our own needs for the job, not to mention our higher than average exposure to illness. Thirdly, and most importantly, we simply cannot afford to lose our experienced nurses! I made the decision to switch to practice nursing and I love working at a local medical practice. It’s a shame that my years of intensive care experience aren’t being utilised but I can’t live with the uncertainty of not knowing who is going to look after my kids so I can work week to week. It would seem that I’m a minority, others in my situation are leaving the profession or putting up with the inflexibility, but at what cost? We need to tackle this issue now. Nursing was always known as a family friendly profession that supports mothers. Now it has become inflexible and even hostile, and it must stop. If we continue to push away our experienced nurses we will be left with a serious skill shortage in 10-20 years. We will be left without the most valuable nurses, the Clinical Nurse Specialist, the Team Leader, the Senior Nurse on a night shift who you know you can count on in an emergency. And we will be left with a junior workforce who haven’t been given the opportunity to learn from the more experienced and specialised nurses. Even if we don’t see a continuation of the trend for nurses to leave the profession, then stresses of the job and trying to balance it with family life are just too high. With recent reports showing 63% of Australians and 24% children being overweight, obese or morbidly obese, this is an issue that affects us all. The current “Return to Work” rules aren’t adequate and often aren’t followed. We need to value our nurses. We need better legislation and, more importantly, better support from hospital management. We need to change the culture of expecting nurses to put up with it or leave. What we can’t do is close our eyes and hope the problem goes away. So how can make things better and retain nurses in the future? Well, you might not like it, but the answer is providing nurses who are mothers of young children with ‘Special Treatment’. Yes, you read that right, Special Treatment for working mothers. Do we want it? Not really. Do we feel entitled to it? Huh! You think I became a nurse for all the entitlements? The truth is, nurses who are mothers of young children NEED special treatment, and you need us to work. We can make it happen by providing mums with regular shifts for the short time during their career that they have dependent children. We can provide child care in hospitals to suit shift workers, and ease the financial burden of childcare on shift-workers. Most importantly, we can stop labeling working mums as “selfish”, “difficult” and “entitled”, or lump the responsibility of establishing a work-life balance solely on the mother because “she chose to have children”. These statements show that, as a society, we place little value on the care of young children, or their role as our future workforce. Some of the best nurses I know are mothers. They are patient, empathetic and highly skilled at multi-tasking. They love their work, they are passionate about the profession and they are in the unique position of being involved on both sides of the nursing station, with frequently sick children. Please let’s not toss these nurses aside because it’s too hard to make the roster work! With only a few small changes we can ensure that our future nursing leaders remain in the workforce, and remain at the forefront of a world class health care system. Yup, nothing is sacred in our household. World Breastfeeding Week is this year focusing on support for breastfeeding mums. I think support is paramount in being able to breastfeed and often goes hand in hand with education. You don’t need a degree to pass on knowledge or to support a new mum. The vast majority of Australian babies are breastfed from birth, but somewhere in those first few weeks, the rate of exclusively breastfed babies drops off significantly. And it’s important to note that many mums who stop early on don’t want to. With my first baby, despite pretending otherwise, I was one of those mums. The second time around, I read, I listened, I asked and I still struggled with it, but I was lucky enough to be so very well supported- by my husband, by the community LCs and by a wonderful group of women on a parenting forum. This third resource was such a wealth of experience and knowledge. The support and understanding offered to me so freely by other mums who had breastfed is something I couldn’t have persevered without- it is a big part of why I’m still breastfeeding today. The knowledge and support of peers carried me through the painful bad latch, the low supply, the difficulties of comp feeding, the bout of mastitis and the struggle to rebuild my supply again. 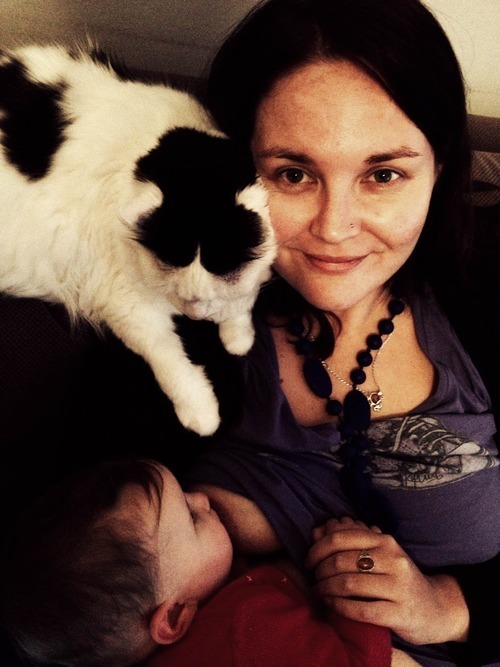 I’m not the only one who has been able to breastfeed thanks to the advice of other mums-far from it. Historically, this is how women learned to feed- during their day to day lives, they saw breastfeeding constantly and helped each other to learn when the time came- other than wet nursing, there was no alternative. 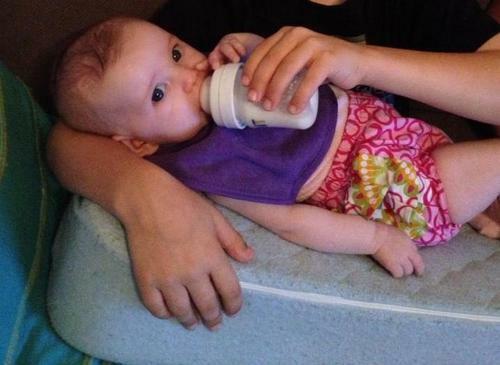 There was no infant formula or lactation consultants-just each other. The trend of successful breastfeeding from a strong peer support network, while not new, is now being actively encouraged, such as the trial being conducted by La Trobe University, where they are setting up new mums with a peer mum experienced in breastfeeding. The idea being that new mums can ring the more experienced mum for advice. I think it’s a fantastic idea and you can read more about it here. I guess the message is, if you have breastfed and know a thing or two about it, the most valuable thing you can do with that knowledge is to share it. I bought a few books about breastfeeding and most are kind of intimidating to read. It’s a block of information, almost like someone delivering a speech and then not answering questions afterwards. Whereas reaching out to another mum, something as simple as “Hey, my baby wants to feed for like 3 hours in the evening- NON STOP!! Did that happen to you? Is it normal?” And hearing (or in my case, reading) that yes, it is, is so reassuring. Supportive mums groups, peer groups and online parenting forums are like a brains trust that we all should be able to access when it comes to breastfeeding. “Breastfeeding is the normal way of providing young infants with the nutrients they need for healthy growth and development. Virtually all mothers can breastfeed, provided they have accurate information, and the support of their family, the health care system and society at large. And this is exactly what I told my doctor. If your GP is unsupportive, maybe direct them to this information. Hopefully it will spur them on to doing their own research and they might be more supportive of the next struggling mum to sit in their office. If you know someone that is breastfeeding but haven’t done so yourself, you can still be supportive. You can not freak out if they feed in public or you can just tell them they are doing a great job. Every bit of support helps! 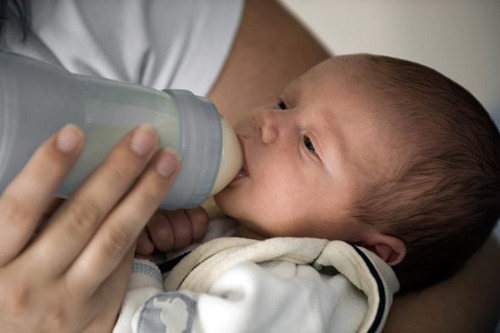 Human milk is the perfect food for babies, contains immunological benefits and is just generally awesome, makes children smarter, more attractive, gives a keener eye for real estate purchases and almost guarantees future instant scratch lotto ticket wins will always be above the purchase price of the ticket. Ok, maybe not all that. But it is easily digested, good for baby’s immune system and free! Breastfeeding is also instant comfort for most babies and that in itself is worth just as much as the nutritional benefits for me. It also has health benefits for mum, helping to protect against certain cancers and allegedly helping mums to shed their baby weight sooner (I’ll let you know when that one kicks in haha!) So if you’re hoping to breastfeed or struggling with some aspect of it- reach out. Ask another mum you know, ask your mum, ask your mums group, go to an ABA meeting, ask online- just ask, because the support is there and with breastfeeding, the support of your peers is invaluable.